1 Bedroom Flat For Sale in Exeter for £239,000. 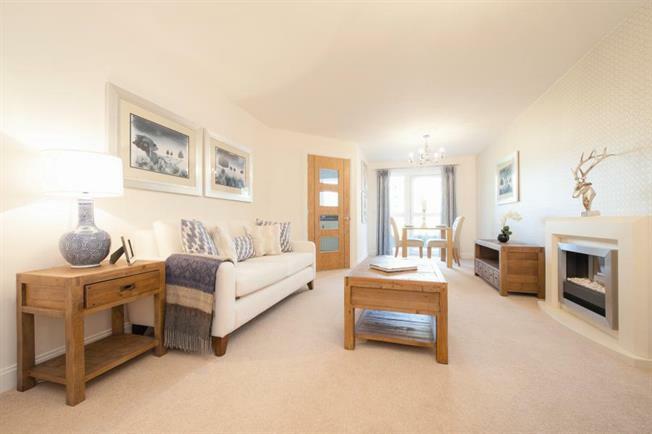 Pinnoc Mews is a stunning development offering a selection of 1 and 2 bedroom apartments and is situated in a sought after location in Pinhoe, Exeter. You will be amazed by our latest McCarthy and Stone development in Pinhoe, a popular suburb which retains a village feel with excellent access to Exeter city centre and the surrounding area. retirement apartments is suitable for anyone over 60 who would like to maintain their independence. Our Retirement Living developments give you the best of both worlds. You have the benefit of owning your own home, free from the usual homeowner worries like maintenance and lack of security. All you have to do is relax and get on with enjoying your life, safe in the knowledge that theres a House Manager available during office hours, should you need a helping hand. With so much attention to detail, its no wonder McCarthy and Stone is the UKs leading retirement developer. St. Michael and All Angels Church overlooks the village and dates back to the 15th Century. From here youll find striking views across Exeter to Exmouth and Dartmoor. The Cathedral City of Exeter is naturally close to Pinhoe, boasting extensive shopping facilities and cultural attractions including the Royal Albert Memorial. Exeter Historical Quayside and Exeter Quay are ideal places to visit, with fantastic dining options provided alongside a scenic waterfront setting and Pinhoe also offers access to the coastline of the South West. To travel to these places, train services from Pinhoe station operate on the main rail route from Exeter St. Davids to London Waterloo. A local bus service also operates regularly, with journeys to the city centre running every 5-10 minutes from a bus stop located directly outside the development. Other local amenities include a Sainsburys supermarket, cafe and petrol station located next to the development, with an Aldi store on the opposite side of the road. A doctors surgery, estate agency, Post Office branch, local pharmacy and several shops are then found in Pinhoe village, with further shopping facilities found in the centre of Whipton just half a mile away.